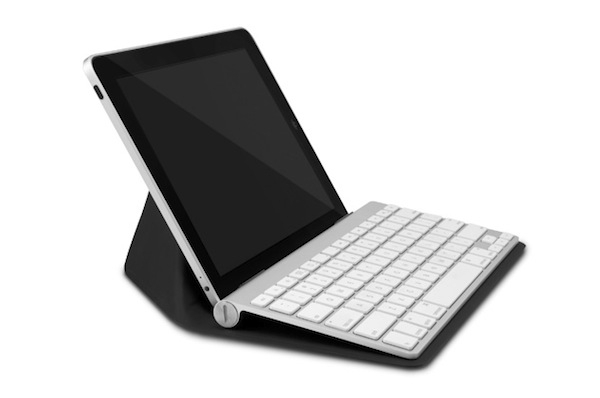 How About a Keyboard With Your iPad? "I have had an iPad since day one and up and until last week I had never once attached a keyboard to either of my iPads. I simply never saw the point and wasn't the least bit curious." That was until Ben Brooks saw the guide on Macworld about keyboard options for the iPad. Still, he found that while it might be great to be able to work with the iPad, for his needs it wasn't quite up to par. This is similar to my conclusion doing work here on Apple Thoughts. I really do need to use my Macbook Air for the image posting problem that Ben also outlines. Once that problem is solved, I could easily use my iPad but until then, its Macbook Air. Have you put down that laptop or desktop and used an iPad in it's place? If so, what are your thoughts? I wound up selling my 7 month old iPad2 to my son and buying an 11 inch MacBook Pro because I honestly found the iPad to be too limiting. And, I had a wonderful Zagg/Logitech keyboard case that worked well. The problem with the iPad is that it's not a laptop! Yeah, kind of obvious and I found myself more and more missing a laptop. Easier to store files on, easy access to network shared documents, the ability to use a "real" word processor without being frustrated by the limitations of the iPad for word processing and file processing. The 11 inch MBA is perfect for what I missed while using the iPad - I have full access to network shares and can view media without going through iTunes and all that. The iPad is a great device, don't get me wrong. It just wasn't quite there enough for me.